Comment: Excellent clean condition. Complete with slipcase. Dispatched from UK. Dispatched from and sold by ThePolarBear. 4.0 out of 5 starsNot the best of Van Beinum, BUT a GREAT Scheherazade! I bought this because of the bargain price, and since I didn't have any Van Beinum at all, I thought, why not? I realize that this should not be my only exposure to his art. Based on the numerous other reviews on his recordings by other fans, I can still see I have some way to go to judging his art. The overtures are quite nice, nothing completely deeply probing or insightful, just good performances with plenty of spirit. The Brahms 2 is not bad, not great, but certainly enjoyable. Nothing deeply probing here either. So why the four stars? It's for Scheherazade. Now, does Van Beinum give Stoky, Reiner or Beecham a run for their money? Not quite, BUT it's a LOT better than so many of the mediocre ones out there. Better than Fricsay, Scherchen, MUCH better than Karajan and Kempe. So what is it about this performance? For starters, it's for sure the fastest one I know. He gets the whole thing done in 41 minutes. You can definitely hear that it's faster, but yet it doesn't sound rushed. It has a vibrancy and energy that so many versions lack. The second movement, towards the end, just shows how damn precise he got the Concertgebouw. It's impressive. He does that part in such a faster tempo that it just sounds so exciting! Along those lines, you would think the that the faster tempo would somehow negate the tenderness of the story of the Young Prince and Princess, but it doesn't. It has such a sweet, passionate feel, that it's just perfect. Now, this whole CD is mono, but audio wise, everything here is an very good sound. So don't worry about that. I too was hesitant in listening to Scheherazade in mono sound, but surprisingly, it didn't bother me. It's from 1956 and sounds very good. Yes, there are a lot of Scheherazade's out there, but don't discount this one. You'll be presently surprised. 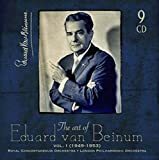 As for me, I'm going to investigate Van Beinum's other recordings and hope to be equally impressed with his art! All of the selections here were well recorded, except for the Don Juan (more about later). I am not very familiar with Thomas' Mignon Overture, a seemingly attractive piece, but Van Beinum makes it sound pleasant enough. In the Schubert Sixth Symphony, there is an odd juxtaposition of interpretive traits. Not infrequently, Van Beinum alternates between being too formal and pounding the daylights out of things. With charm and elegance on a holiday there's not much class to his Schubert. I had high hopes for the Brahms Second, since I have the mono recording Van Beinum made of it at about the same time this live performance was taped. That studio version was very fine. This audience take, however, finds the conductor a bit low key in the first two movements. There is some animation in the third movement but not much grace. Only in the last movement, where there is a rousing conclusion, do things come alive. The second disc opens with Nicolai's Overture to The Merry Wives of Windsor. At times, Van Beinum seems to push the music rather than let it unfold naturally. With the Don Juan, things start with a rather closed in sound and stay that way. The voltage seems turned down, and the usually tender opening violin passage that ushers in the wonderfully romantic portion of Don is truncated. From there to the work's end there doesn't appear to be much life, the dully engineered recording itself being partly responsible...The Scheherazade is really pretty decent, but it is up against some tough competition. 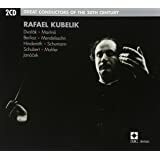 For color, adventurousness and charming, exotic warmth try Stokowski(his version with the London Symphony, not the Royal Philharmonic), Reiner, Beecham or Ansermet...Finally, there is Elgar's Cockaigne, one of my favorite overtures. 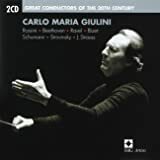 Van Beinum slides through too quickly in some passages, but his performance is generally quite good though it misses the affection of Barbirolli and the swagger of Solti in their accounts. In closing, although I feel let down by a number of these performances, my admiration for Van Beinum remains undiminished. I've heard too many very fine things from him. I think he deserved better treatment in terms of what was chosen to be represented on these discs. 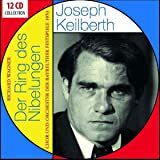 I am aware of an exceptional Mendelssohn "Italian" Symphony and colorful Midsummer Night's Dream he made as well as some superb late Bruckner Symphonies, a very dynamic and atmospheric Debussy combo including La Mer and Nocturnes, a lovely Schubert Rosamunde and extremely fine versions of Brahms' First, Second (mono) and Fourth Symphonies. Look in these and some other places for the best of Van Beinum's legacy. What are the complaints about? This is a magnificent selection of music. 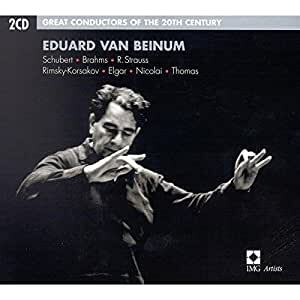 Even van Beinum, whose recorded legacy is on the small side, left so many records that representing him on a two-disc set--the idea of the Great Conductors series--is going to be difficult. Why not be pleased for what's there? 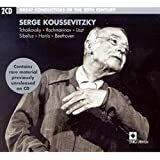 Every one of these selections is a gem--including a major reading of the Schubert "not-so-little" C-major symphony, a truly outstanding Brahms Second from a live concert, and a luxurious rendering of Scheherazade. The strings of the Concertgebouw make you jump for joy in the overtures, including Thomas's rarely-heard "Mignon". The nay-saying reviews here do not have the beginning listener's interest at heart. 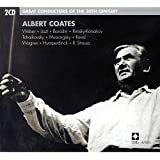 These are fabulous performances by one of the most genial conductors who ever lived--in clean, handsome mono sound and, for now anyway, at quite a low price. What's not to like?